Thanks to Stefan Ba for sending me this, and a very big iku_19 for sharing this on Reddit. 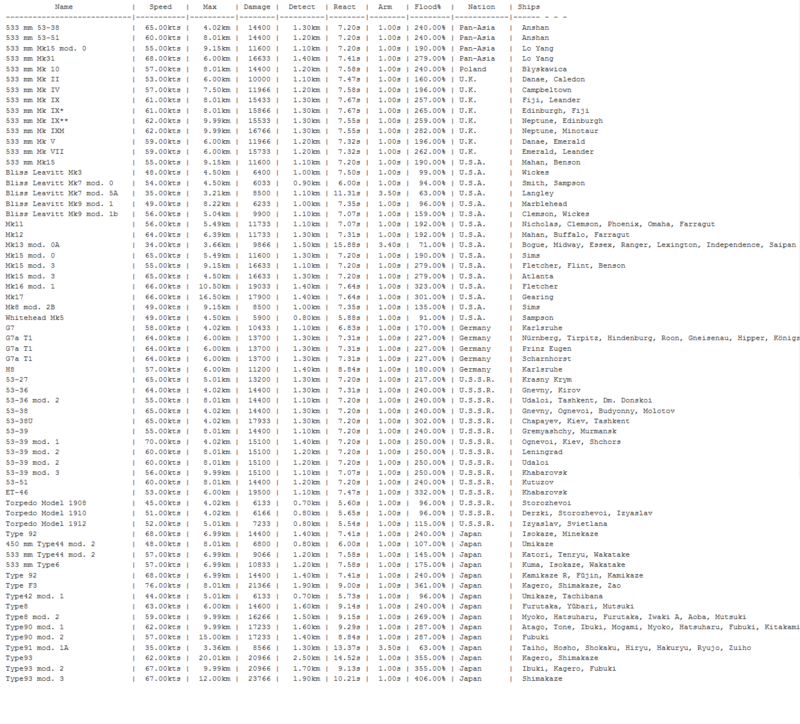 A table with complete details for each torpedo in the game has been made available, with flood change. Flooding chance is reduced by armour and other modifiers, which is why the flooding chance is more than 100%.